Vol. 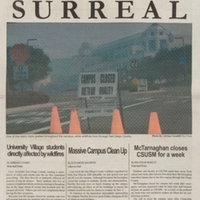 11, No.8 focuses on the wildfires around campus and San Diego, ensuing campus closure, cleanup and resources for victims. 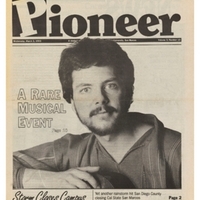 Special Edition of The Pride, Vol. 9, No. 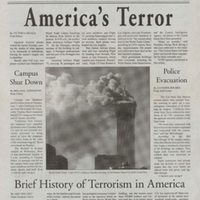 3.5 reports on the 9/11 terrorist attacks and the response locally and across the nation.